Do you want to home school? If you had asked me years ago, well before we had our little guy, I would say.. negative. My husband was home schooled his whole life and he did not like it. When we were younger he would tell me how much he hated the fact that he wasn't allowed to do so many things and how he didn't like not having friends outside of church. I always said I would NEVER do that to my child. My other argument against it was the fact that I spent all that time in school to be a teacher. I would always, always say 'Why would I spent that much money and time in school to be a teacher to stay home?' Then after I got my Masters, there was no way I was going to stay home all day when I could be educating kiddos. Today, on the verge of my little boy turning 2, I can't get homeschooling off of my mind. My arguments are much different today. If you asked me now if I want to homeschool, I will say... ABSOLUTELY. My husband and I have not really talked about it.. but he knows my heart. When we were younger and talked about it, he told me no way. I think now that we actually have a kid, he leans more toward the possibility, but we have not spent the time to talk about it. I think things and times are very different from when he was younger. Even his younger sisters, while they were home schooled as well, things were very different for them than it was for the husband and his two brothers. 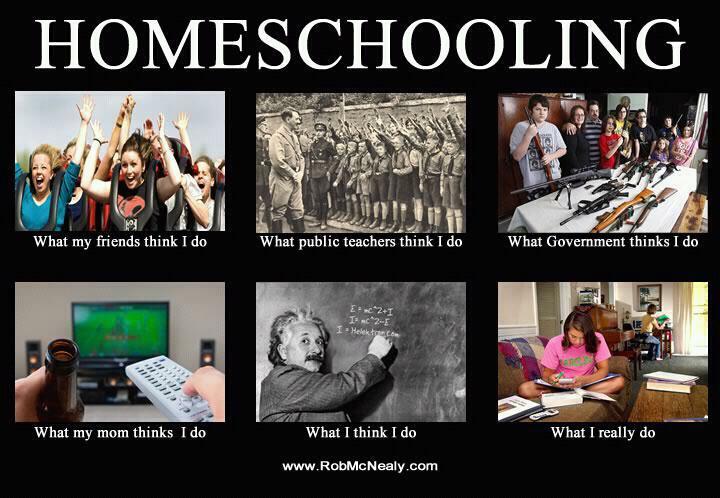 There are so many options for my children while being home schooled... so many things that they could be involved in... They could have friends, play sports, etc. I see the pros in homeschooling. My other argument was about my education. Now I look at it as I have a back-up plan for when my kids are older. Also how great it is that my children can be home schooled by an educated mommy? Nothing, money or time, was wasted getting my education. It only makes me that much better to educate the little loves of my life. My husband is so smart and I know that there is nothing we can't teach our kids. We have always said that where I am weak he is strong and where he is weak, I am strong- same things with our education. As a teacher, I know how much gets accomplished in a day. I know how hard it is to reach every student. I have seen kids get left behind because they are not able to keep up or they are too advanced. I do not, repeat DO NOT, want that to be my child. Studies show that it is beneficial for kids to be home schooled until 3rd grade. After that, they do need the socialization. 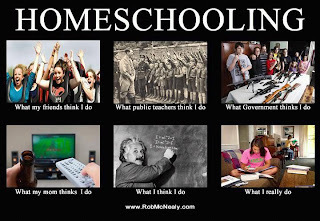 I really would love to homeschool until about that age and then give my child the choice.... and see how it goes. Facebook is passing these posters all around, and I really liked this one! For those that homeschool.. what kind of feedback would you leave me?